The Hickleys Training Academy is a purpose built and nationally approved training centre offering lockmisths, auto locksmiths and motor trade technicians the ability to enhance their skills, increase their learning and attain the qualifications required to operate successfully in these complex industries. The training facilities are situated at our head office in Taunton, Somerset and offers a state of the art learning experience, The dedicated training suite offers a modern and comfortable environment with an air conditioned climate, computerised visual display equipment, modern workshop facilities and is fully equipped with the latest equipment in the market. We also have a dedicated 1000 sq ft vehicle training garage within the training centre, equipped with the latest training vehicles and equipment, enabling students to learn the latest techniques in the very best environment. The Hickleys Training Academy benefits from the market leading position that Hickleys holds within the Locksmith, Auto Locksmith and Diagnostic equipment industry. As the UK's leading independent specialists we are distributors for most of the leading brands, including Advanced Diagnostics, Zed-FULL, Silca, Bosch, Brain Bee, Delphi, Smokepro, Pico, Dec and many more, plus a growing range of locksmith tools. Our highly skilled team of specialists offer a high level of technical and product support to the industry and this feeds through into benefits for the training academy. 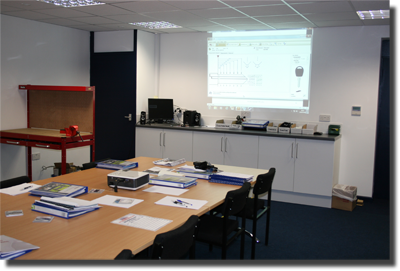 Our training centre offers market leading training for three market sectors in Locksmithing, Auto Locksmithing and Vehicle Diagnostics. Locksmithing is a niche market with high levels of technical content and good rewards are possible when the correct skills are achieved. Our Locksmith training program offers top quality training to both the domestic & commercial locksmith industry including non destructive picking, safe opening and a range of more specialist skills. Auto Locksmithing is a niche sector of both the Automotive and locksmith industry and offers excellent rewards with limited competition; the abilities required are both mechanical and electronic with a high degree of training and skill required. Auto Locksmithing is an ideal extension to service for both domestic locksmiths and motor trade garages. Our Vehicle diagnostics programme covers a wide range of vehicle technologies including Engine management, Common rail diesel, Can bus electrics, Hybrid systems, Air conditioning as well as user courses on specific diagnostic test equipment.